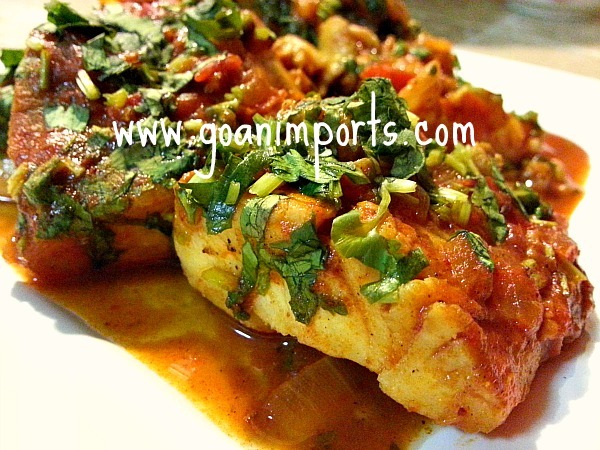 Almondegas (Almon) de Peixe recipe is very Goan and has a big Portuguese influence. It has many names depending where it is made. 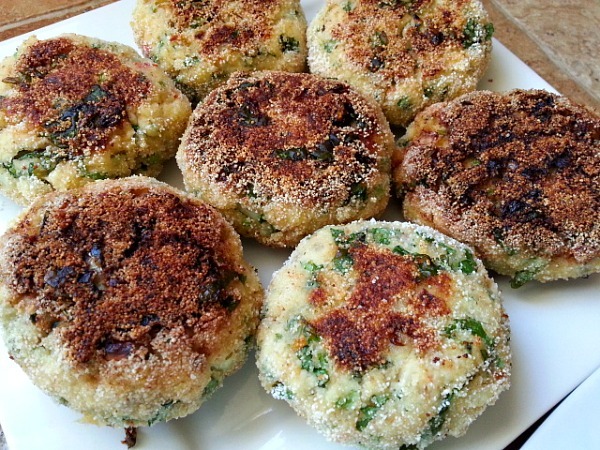 It is popularly knows as Fish Cutlets in rest of India and Fish Patties or Fish cakes in US. Mind you, you may want to call them croquettes but in Goa it has a total different meaning and are made only of beef. Almondegas or Almones as we called, according to Google translation is meatballs or hamburgers. Assuming that it is alright to call them fish burgers as they are disk shape then a ball. The fish is first cooked as Guisado de Peixe by following my earlier recipe. Which is made with garlic, onions, tomatoes, vinegar and a few spices. The lazy me used the recheado masala as it has most of the ingredients. 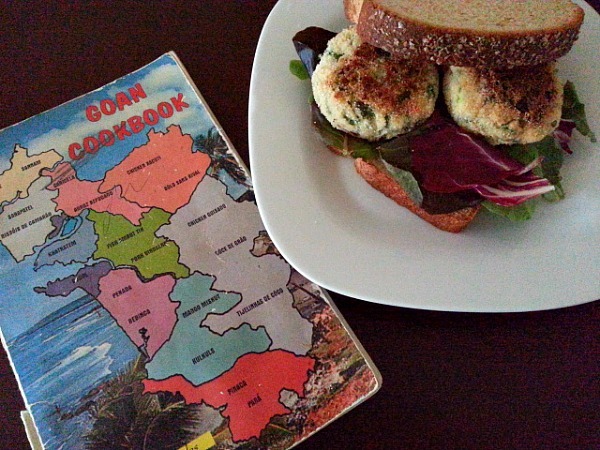 To make these Fish cutlets you have to get your hands dirty. So be ready to put in some time but it will be worth all the effort in the end. 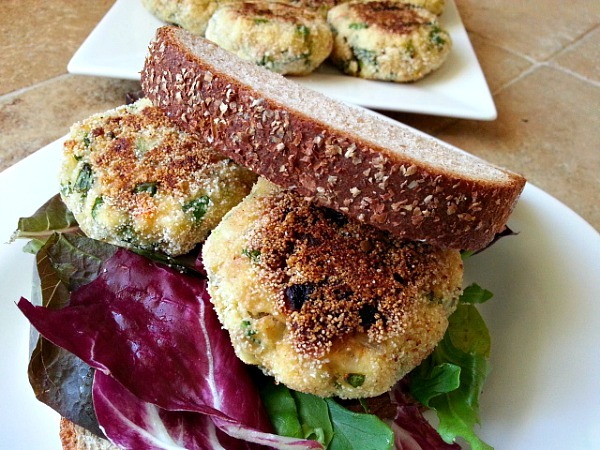 In this recipe I will confuse you with my cooking skills of making these fish cakes but do not worry in the end it all works out well. My intention is not to challenge or be rebellious but this is how I learned watching my family cook. There are 2 major differences. So moving on, after the fish is cooked let it cool down. During this recipe I experienced that the tilapia retains liquid so you will have to squeeze out the liquid for the fish to be dry and to be shaped properly. Squeeze the liquid of the cooked fish, break it apart in a mixing bowl. Add the diced onion, cilantro,jalapeno, beaten eggs and mix it well with your hands. Check for salt. Divide in 10 equal portions and then shape each in a approx 2″ round patty. Coat the patty in cream of wheat. Next heat a non stick pan add about 3-4 tbsp of oil and pan-fry for about 4 minutes on each side on medium heat till the cream of wheat is browned and cooked. Serve it as a side, an appetizer or make an easy sandwich with leafy greens and butter to enjoy the bold fish flavors. As always the images looks wonderful and make wish I could taste the food right now! It’s interesting that Indians use Cream of Wheat instead of Bread Crumbs. I love that cultural difference,and I love Cream of Wheat! Every winter when I was growing up my Mother would make Cream of Wheat and alternate with Oatmeal for our morning cereal. I’m book-marking this recipe to try when it’s not so hot! Thank You so much Deborah for your kinds words. Also thanks for sharing your wonderful memories with me 🙂 . All the links are a great help thank you. You inspire me to put more effort into my cooking. Instead of my adlib way of cooking. Hello Nandini, thanks for liking my post. Saw your blog just now. It’s simpl awesome. Please send me feedback after you have tried the recipe. That sounds so awesome! Since I’m portuguese myself, as I was scrolling through my reader, I did a doubletake when I saw “almondegas”. I was like whaaaat! did I actually read what I saw? Cool stuff. Love how it came out. Looks really tasty. 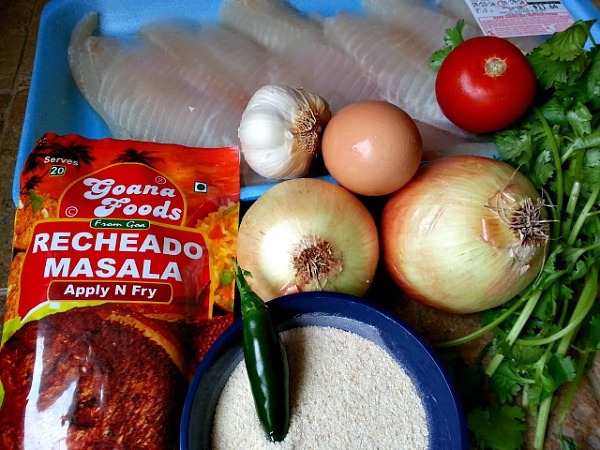 Do you think I can find recheado masala at an Indian or Pakistani store? Ok. I just went to an IndoPak mareket the other day and “masala” me think it might be carried there too. I will check it out. Ooh, I need to find myself some recheado masala. Looks versatile. Thanks Much Claire 🙂 If you get halibut, mackerels, sole, pomfret or pompano or any fish of choice. This sound really good, but I wonder if there is a gluten-free substitution for the Cream of Wheat? You can use rice flour if you like, the only thing is that its not to crispy but will give it a nice coat. 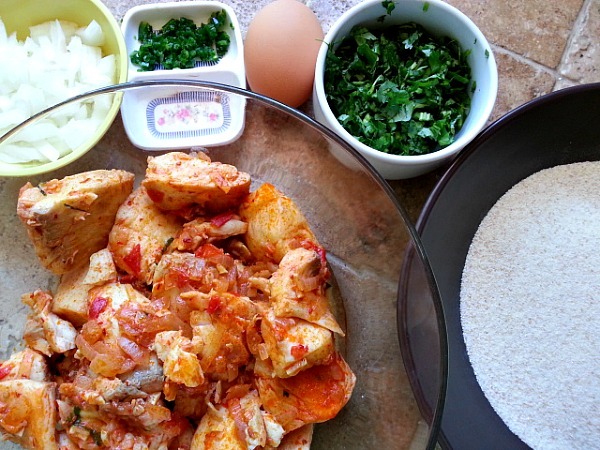 We use rice flour to pan fry our fish. All your food is so appetizing ! I don’t eat fish, but I love the idea of using cream of wheat instead of breadcrumbs! I must try that the next time I make patties of some kind! So glad that you commented on my blog, because it allowed me to find yours! Your recipes look seriously amazing! I consider myself a way better baker than I am a cook, but I’m always looking to challenge myself in the kitchen, so I’m going to have to try some of these delicious recipes out. For now, I’ll be furiously browsing through your blog haha! This looks like a good recipe. Do you think the patties could be made in the oven? I want to try and make them. Beautiful dish! It looks very appetising!!! That sandwich looks delicious! The presentation is well done. Thank You Joy…they are very tasty :-). Ahhh yummy, fish cutlets, love those, and I see you’ve used some of the recheado masala? I must make a note of that.